The Lancaster County Bridal Open House! On behalf of harvest View at Hershey Farms, Congratulations on your engagement! 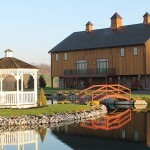 Harvest View, in Lancaster County, offers their restored timber barn for any type of social event. 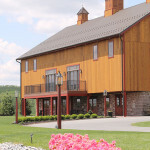 If you’re a business or corporation in search of a place to hold any type of corporate meeting, you should consider the restored barn at Harvest View in Lancaster County, Pennsylvania. Your wedding day is a day to remember. From the smile on your face to the cute shoes with the bows that the flower girl wore, everyone will have special parts of the day that they will talk about for years to come. "You all were the most “hands-on” owners I have ever seen - thank you for all you did from helping to unload the wagon from the horse trailer, driving the wedding party to the other farm, fixing the broken tree, to helping us load up at night. We can not thank you enough! You folks were wonderful to work with! "